Postcard from Lagos: Has Your Smartphone Hacked Your Brain? 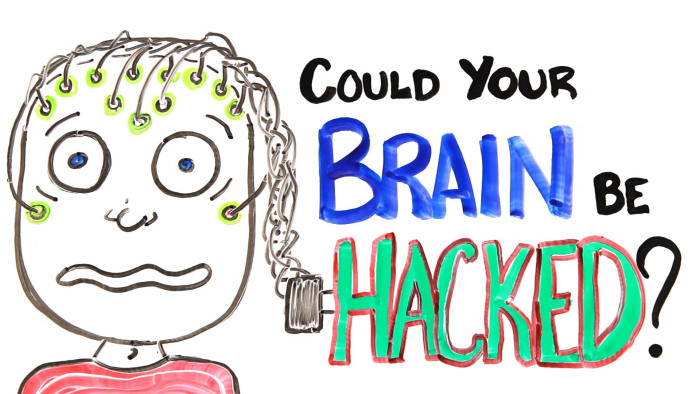 Has Your Smartphone Hacked Your Brain? How many times a day do you check your phone for messages and notifications? Do you take your phone to bed at night? Is your phone the first thing you check when you get up in the morning? On average, how many hours a day do you spend on your phone? How many social media apps are you actively engaged with? These are a few questions every smartphone user need to answer with ruthless honesty. Maybe, they might just be able to start extricating themselves from being a stooge of their phones. Is this not unnecessary scaremongering you may ask. Perhaps we should look at some facts. It is increasingly apparent that many people are trapped by their smartphones. Victims of this phenomenon are active on several social media platforms, sending jokes, uploading selfies, and reacting to other people's posts. It is not impossible that these activities provide some psychological reward to the smartphone users, and that a clear majority of them enjoy chatting and uploading selfies. However, does immediate satiation equate to a good use of time? Is derived gratification a justification for the hostile hijack of our brains, our behaviour and social interactions? I mention social interactions because chatting with people via social media or admiring people's picture on Instagram is not a substitute for face to face interaction, any more than reading Mills & Boon novels equip an individual with the ability to negotiate a successful marriage relationship. In fact, statistics show that young people are losing the ability to relate face to face with other people. Furthermore, an increasing number of them are known to suffer from sleep deprivation, and lack of focus due to their exhausting activities online. In the same vein, bedroom etiquette is out of the window for most people. In the UK, it is believed that 79 per cent of the populace go to bed with their phones. They are almost certainly posting pictures and comments online into the wee hours of the morning. With this statistic, it is apparent that there is truth to the suggestion of a correlation between selfies, narcissism and psychopathy - the dark triad of personality traits. As terrible as these are, they are just the storm-clouds of a more serious and systemic problem darkening the horizon. I refer here to the power we all have conceded to tech companies to use our data as they wish. The recent case of the British company, Cambridge Analytica has exposed how tech companies use personal data to profile people illegally. The company unlawfully gained access to the data of 50 million Facebook users through a deceitful personality test conducted for 270,000 of their friends. The question is how many more companies did Facebook authorise to have the same access to your data? How are these data currently being used? The answers are scary to think about. Yet many people, daily churn out details of their lives on social media and gullibly consent to their data being used by app makers they know nothing about. 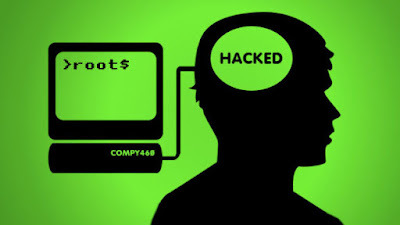 The truth is everything you click online, everything you watch, every website you visit collects data about you and that data will be used to profile you for gain or even for harm. No one could have predicted these problems 20 years ago. The only way to be safe therefore is by deliberately being vigilant. Apart from the vulnerability of personal data, social media also allows people's life to be tracked. People know when you are online and when you are not. If you have the location option on, your phone contacts can see where you are in the world. We are the first generation that lives almost all of its life entirely online, and the responsibility is on each person to be vigilant about their personal safety. Going back to the issue of smartphone addiction, what concerns me the most is the long-term effect of social media use on the mental health of young people. For example, apps like Instagram and Snapchat present an unrealistic image of life to young people and many of them are losing their sense of self-worth because of heavily edited photos of other people to which they feel they cannot compare. Alongside this is the rising reports of online bullying often with the sinister motive of luring teenagers and even pre-teens to send compromising personal pictures which are then used to blackmail them. I have found that this phenomenon is not limited to young people alone. Social media has democratised misbehaviour and mild stupidity even amongst people in their forties and fifties. Although we have rules that prohibit such messages on the platform, the most trafficked messages on my old school WhatsApp group, are those with sexual content, and meaningless jokes. This I am sad to say is the pattern in the wider Nigeria context. Far too many recycled jokes, motivational gibberish and irrelevant discussions. It's almost as if WhatsApp was made for Nigeria. Each day, a dozen 'good morning' messages and prayers would flood my phone. On Mondays, it is 'happy new week,’ and at weekends - you guessed right. It is near impossible to read them all, let alone respond. Some perpetrators feel they are doing a lot of good even when they are blatantly a nuisance. All around me, I see people losing control of the use of their time, and it makes me wonder whether they are actually in control of their brains any longer. I am not suggesting that social media is entirely useless. I have a Facebook account which I use mainly for business, and to publish my articles. Although I have a Twitter account, unlike Donald Trump, I hardly tweet and I don't read Twitter messages. But of all the social media platforms, WhatsApp seems to be the most functional and also the most baneful. While it has facilitated better communication, it has also made it too easy to be in perpetual contact, allowing for an unprecedented degree of vacuous and time-wasting exchanges. I realised a while ago that I simply couldn't cope with the Tsunami of messages that come my way daily. If I had to respond to the greetings only, I probably would need to employ a full time PA whose remit would include typing 'amen' to the retinue of preachers and prayer peddlers who feel I need a daily nourishment of their business. Although I am not going to completely deactivate my social media apps, I have decided to put stricter controls on usage. Considering that I have never been an avid user of social media, this new regime would further limit my engagement, and it is a clear fightback to taking control. So here are some of the actions I have taken to limit my engagement with smartphones and social media, particularly WhatsApp. You too may find them useful. 1. Although I read all personal messages sent to me, I have indiscriminately stopped reading most group chats. Instead, I read the plain old, and enduring Bible. See! I am not lost after all. I would also rather read books, journals and articles. 2. I never read daily motivational or spiritual messages from anyone. Neither do I respond to them. So, if you have ever sent me one, don't be deceived. The fact it shows 'read' does not mean I have read the message. Every so often I tap on the most unread messages just to clear them from my sight. 3. I generally do not do social media in the mornings or when I am most productive. 4. To avoid distractions, I switched off notifications on my smartphone years ago. I only find out what's on my phone when I pick it up. 5. I removed the 'last seen' feature as soon as I found out it existed. I don't need to monitor when someone was last online and I can't be monitored either. 6. We also have a no phone policy in the bedroom at night. 7. I have never had Facebook on my phone. I only access it on a computer which means I must go through the motions of logging in. I also do not post my family's photo on Facebook or other social media. So, What about you? What do you want to do? If you really want to take back control of your life, I would advise a complete deletion of certain apps from your phones. Also, do you really have to show the whole world you are currently on holiday in Tenerife? And why should your children's photos be available to everyone? The message here is be careful about personal data you publish online. If you think your addiction is serious, perhaps you may need to replace your smartphone with an ordinary phone.